LOCATION, LOCATION, LOCATION! 412 ACRES FARMLAND IN PRIME SPOT ON INTERSTATE 52- 3 MILES NORTH OF ZUMBROTA &AMP; MIDWAY BETWEEN METRO TWIN CITIES &AMP; ROCHESTER. . . .
3,276 ACRES WITH 2,708 TILLABLE ACRES. FARM IS PATTERN TILED, ALL WITHIN THE LAST 5 YEARS, EXCELLENT SOILS, GREAT LOCATION. ONE OF LAKE OF THE WOODS FINEST FARMS. ATTRACTIVE BUSINESS OPPORTUNITY. LOCATED IN THE HEART OF DAIRY FARM COUNTRY, HERE IS THE OPERATION YOU MAY BE WAITING FOR. OVER 200 ACRES CURRENTLY IN CROPS WITH TOTAL . . .
2,240 ACRES OF CONTIGUOUS PATTERN TILED LAND WITH 1,995 TILLABLE ACRES. GOOD SOILS AND LEVEL ELEVATION. MANY CROP ALTERNATIVES: CORN, SOYBEAN, WHEAT, BARLEY, GRASS, . . . MAGNIFICENT PROPERTY! CURRENTLY CATTLE AND HAY FARMING. 340 ACRES WITH OVER 200 ACRES THAT ARE TILLABLE/PASTURE! 4,400 SQ. FT. HOME WITH FOUR BARNS/OUTBUILDINGS! VERY . . .
279 ACRES BUY AS FARM OF BUILDING SITES. 40 ACRES FOR DEVELOPMENT. NEXT TO FARMINGTON HIGH SCHOOL GUIDED FOR 6-12 UNITS PER ACRE. SEWER &AMP; WATER AT PROPERTY LINE. GREAT ACCESS TO CEDAR AVENUE. AT LAKEVILLE . . .
UP TO 277 ACRES OF CERTIFIED ORGANIC FARM LAND. SELLER WILL SUBDIVIDE TO MEET BUYER'S NEEDS. EXCELLENT HUNTING LAND AS WELL WHICH HAS BEEN UN-TOUCHED FOR OVER 30 YEARS. . . .
GREAT PIECE OF PROPERTY IN DAHLGREN TOWNSHIP WITHIN CITY OF CARVER ORDERLY ANNEXATION WITHIN 1/2 MILE TO INTERSECTION OF 212 &AMP; 3/8 MILE TO FLEET FARM. GUIDED TO . . .
GREAT INVESTMENT OPPORTUNITY IN THE GROWING CITY OF LINO LAKES. 58+ ACRES RIGHT ALONG HWY 35 WITHIN EASY COMMUTE TO DOWNTOWN ST. PAUL AND MINNEAPOLIS. CITY SEWER AND . . .
GREAT PIECE OF PROPERTY IN DAHLGREN TOWNSHIP WITHIN CITY OF CARVER ORDERLY ANNEXATION WITHIN 3/8 MILE TO FLEET FARM AND 1/2 MILE TO INTERSECTION OF HWY 212 &AMP; . . .
CONDITIONALLY APPROVED R-1 ZONING WITH 64 PLATTED LOTS. 110 ACRES TOTAL OF MOSTLY SANDY LOAM SOIL.GREEN ACRES TAX STATUS TRANSFERABLE UPON APPROVAL.POSSIBLE FARM LEASE . . . LOCATED IN RURAL PLATO, MN AND WEST OF THE TWIN CITIES METRO AREA THIS DAIRY FARM HAS WHAT IT TAKES TO OPERATE A SUCCESSFUL DAIRY BESIDES BEING A GREAT PLACE TO LIVE AND . . . DESIRABLE RIVER FRONT PROPERTY AVAILABLE TO BE SPLIT AND DEVELOPED INTO GORGEOUS BUILDING LOTS OVERLOOKING THE MISSISSIPPI RIVER - 74+ ACRES. LARGE COUNTY PARK JUST . . .
56 ACRES, ZONED RURAL RESIDENTIAL! FROM FARMING TO BUILDING YOUR DREAM! WAKE UP TO THE MORNING SUNRISE, SMELL THE FRESH AIR, LOCATED NEXT TO THE ST. CROIX RIVER BLUFF . . .
221 ACRES OF FARMLAND. 194.8 TILLABLE &AMP; TILED. 60X160 WAREHOUSE WITH CONCRETE FLOOR AND ELECTRIC. 80X40 SHED, 4 GRAIN BINS. LAND IS CURRENTLY LEASED. 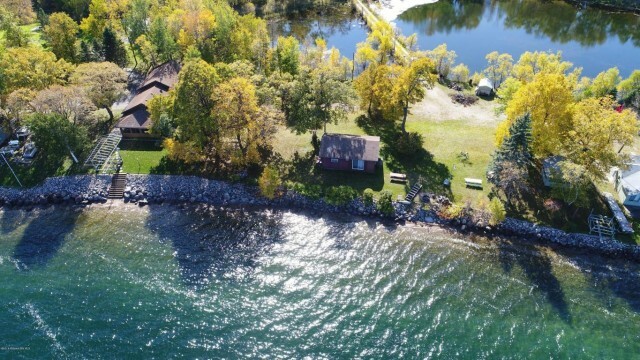 A RARE FIND, 149 ACRES AND 1,200 FEET OF SPECTACULAR LAKESHORE ON COKATO LAKE WITH A PRIME COMBINATION OF TILLABLE, WOODED AND ROLLING ACRES OVERLOOKING THE LAKE. BUILD . . . THIS 58 +/- ACRES IS LOCATED WITHIN A HALF MILE OF HWY 10 ON A 10 TON ROAD. PROPERTY IS CURRENTLY BEING FARMED, IRRIGATED WITH TWO CENTER PIVOTS. THE TWO CENTER PIVOTS . . .
220 ACRE RURAL PROPERTY INCLUDING FARM HOUSE AND BUILDING SITE WITH 54' X 90' MORTON POLE SHED, BARN AND OTHER OUTBUILDINGS. PROPERTY CONSISTS OF 4 CONTIGUOUS PARCELS TO . . . THIS IS LAND THAT IS READY FOR MULTI FAMILY DEVELOPMENT. THERE IS A FARM HOUSE, BARN AND SEVERAL OTHER OUT BUILDINGS ON THE SITE. THOUGH THE HIGHEST AND BEST CASE IS FOR . . .
ROLLING HILLS CURRENTLY ZONED AG WITH THE POTENTIAL FOR FUTURE DEVELOPMENT. CLOSE TO FLEET FARM AND SHOPPES ON MAINE. COURTESY: PROPERTY BROKERS OF MINNESOTA, INC.
WILL DIVIDE. BUILD YOUR DREAM HOME HERE!!! EXCELLENT HUNTING OF TROPHY DEER, BEAR, TURKEY, GROUSE, ETC. 106 ACRES 3.5 MILES NORTH OF TAYLORS FALLS, MN ADJACENT TO OVER . 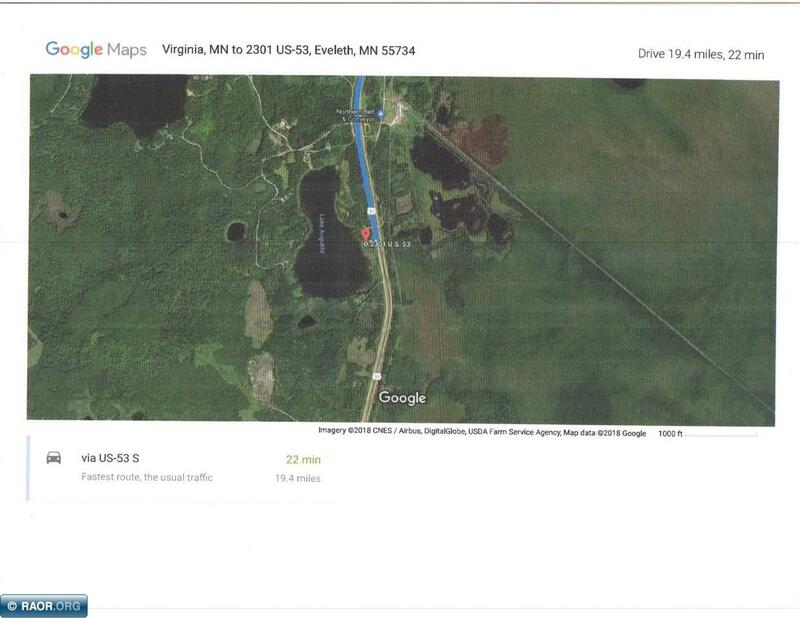 . .
591 ACRES OF LAND, CURRENTLY USED AS SOD/CORN FARM, LOCATED JUST 5 MINUTES NORTH OF AITKIN. LAND INCLUDES BARN, GARAGE AND STORAGE BUILDING. CONSISTS OF MOSTLY OPEN, . . . HERE IS A GREAT OPPORTUNITY TO OWN THIS 193.76 ACRE FARM. OVER 167 ACRES FARMLAND IS MOSTLY TILED. CPI AVERAGE IS 86.5. THE PROPERTY HAS ROAD ACCESS ON TWO SIDES. THERE . . . HERE IS A GREAT OPPORTUNITY TO OWN THIS 197 ACRE FARM. OVER 167 ACRES FARMLAND IS MOSTLY TILED. CPI AVERAGE IS 86.5. THE PROPERTY HAS ROAD ACCESS ON TWO SIDES. THERE IS . . .
BEAUTIFUL, HIGHLY COVETED SCOTT COUNTY ORGANICALLY FARMED ACREAGE HAS LOADS OF POTENTIAL! PURCHASE FOR INVESTMENT AND DEVELOPMENT USING THE TWO BUILDABLE RIGHTS INCLUDED . . .
FABULOUS OPPORTUNITY FOR DEVELOPMENT AND FARMING. BEAUTIFULLY SCENIC ROLLING HILLS WITH EASY ACCESS TO I-35 ARE THE PERFECT SPOT TO BUILD A BEAUTIFUL COUNTRY RESIDENTIAL . . .
PRICE REDUCED - GOOD QUALITY FARMLAND WITH 192+/- TILLABLE. WELL TILED &AMP; DRAINED LAND WITH 86.3 CROP PRODUCTIVITY INDEX (CPI). AVAILABLE FOR 2019 GROWING SEASON OR . . . THE TIME HAS FINALLY COME TO INTRODUCE THE 30 ACRE BUILDING SITE KNOWN AS CONDOR RIDGE. PRISTINELY LOCATED AMONGST THE LUXURIOUS AND BREATHTAKING SUBDIVISIONS OF . . . THIS FARM HAS IT ALL, ROLLING TALL GRASS PRAIRIE, GIANT WHITE OAKS, TWO MEANDERING SPRING CREEKS, LOADS OF WILDLIFE AND GOOD INCOME. NOT TO MENTION IT IS ONLY 15 MINUTES . . .
C3 UNDER SERVED RETAIL MARKET DRIVE THRU OPPORTUNITY CITY TO PROVIDE UTILITIES TO SITE AREA TENANTS: WELLS FARGO, PERKINS, EDINA REALTY, TCF BANK, HOLIDAY GAS, CRACKER . . . EXCELLENT LOCATION OF BARE LAND FOR SALE OF 154 ACRES ON THE NORTH END OF ROCHESTER. PROPERTY IS BUILDABLE AND OFFERS 101.34 +/- ACRES OF PRODUCTIVE FARMLAND WITH THE . . .
AN AMAZING PERSONAL OR INVESTMENT OPPORTUNITY TO OWN 114+ ACRES JUST NORTH OF DOWNTOWN JORDAN &AMP; LESS THAN 15 MINUTES FROM SHAKOPEE. ACREAGE IS JUST OFF OF HIGHWAY . . . INCREDIBLE VIEWS. 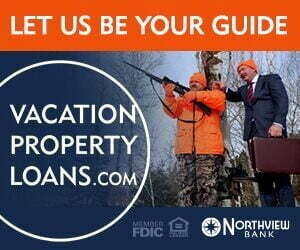 DEER, TROUT, TURKEYS, UNPARALLELED PRIVACY AND INCOME! WHEN IT COMES TO ENJOYING OUTDOOR ACTIVITIES IN SOUTHEASTERN MN THIS FARM IS SECOND TO NONE. . . .
PRIME PRIME PRIME DEVELOPMENT LAND THIS 45 ACRE PROPERTY IS THE MOST DESIRABLE DEVELOPMENTAL LAND IN MONTROSE. THIS IS PART OF A 300 ACRE FARM WHICH NEEDS TO BE SPLIT . . . PRODUCTIVE FARMLAND IN SECTION 8 OF MANDT TOWNSHIP. PATTERN TILE IN THE SE 1/4. CPI-84.6 APPROXIMATELY 122.9 +/- TILLABLE ACRES. APPROXIMATELY 31.75 +/- CREP ACRES - . . .
PRIME MOWER COUNTY FARMLAND, GREAT SOIL PRODEX 93, ON BLACKTOP ROAD. HALF MILE OFF FRONTAGE ON HWY 35 JUST NORTH OF TOWN. GREAT PLACE FOR YOUR VERY OWN INDUSTRIAL PARK. EASY ACCESS TO THE METRO AREA AND THE WORLD. 3 BILLBOARDS &AMP; . . .
GOOD PRODUCTIVE FARMLAND. APPROXIMATELY 139.6 +/- TILLABLE ACRES. THIS ACREAGE HAS IT ALL CURRENTLY PART OF THE LAND IS GOOD TILEABLE FARM ACREAGE. THE BACK PART OF THE PARCEL IS WOODED. A SMALL POND IS ON THE BACK ACREAGE. THE PARCEL . . . FANTASTIC TILLABLE LAND FOR SALE. THIS LAND HAS BEEN IN THE FAMILY FOR OVER 120 YEARS AND HAS BEEN WELL CARED FOR OVER THE YEARS. THE PROPERTY HAS BEEN RECENTLY SURVEYED . . .
TWO STORY HOME WITH GARAGE AND OUT BUILDING,. GREAT FOR SMALL BUSINESS, HOBBY FARM OR HORSES. FARM AS LISTED ON A +- FORTY ACRES, SELLER IS WILLING DIVIDE THE PROPERTY . . .
112.17+/- ACRES LOCATED IN STEELE COUNTY, MN, WITHIN A FEW MINUTES OF BLOOMING PRAIRIE WITH GREAT ROAD ACCESS. THE PROPERTY WOULD BE A GREAT INVESTMENT OPPORTUNITY FOR A . . .
147.98 ACRES OF RAW LAND. 108.72 TILLABLE ACRES. GREAT INVESTMENT! LOCATED IN DELANO SCHOOL DISTRICT. GREAT PLACE TO BUILD A HOME AND RENT OUT CROP LAND OR START A HOBBY . . . ENJOY INCREDIBLE COUNTRY VIEWS AND PRIVACY FROM THIS ELEGANT BRICK HOME &AMP; MODERN HOBBY FARM. FRONT PORCH, BACK PATIO AND LOWER LEVEL WALKOUT PATIO. THE MASTER SUITE . . .
TIME TO INVEST IN THE FUTURE, BECAUSE THE FUTURE IS NOW! PRINCETON IS GROWING AND HERE IS YOUR OPPORTUNITY TO BE A PART OF THIS EXCITING GROWTH. EXTRAORDINARY . . .
GREAT OPPORTUNITY FOR DEVELOPMENT IN BUFFALO! ALSO GREAT FOR HOBBY FARM OR HORSE PROPERTY. 94 ACRES. GREAT LOCATION: CLOSE TO HWY 55. GORGEOUS VIEWS! ON THE EDGE OF COMMERCIAL DEVELOPMENT IN PRINCETON. THE LAND IS CURRENTLY RENTED TO A FARMER. NO TOURS OF THE HOUSE OR STRUCTURES. THIS IS BEING SOLD AS LAND. ONE MILE . . . THIS 13 ACRE TREE FARM OFFERS A TREMENDOUS INVESTMENT OPPORTUNITY. PRESENTLY ZONED AGRICULTURAL BUT SOON TO BE CHANGED TO RESIDENTIAL. WESTERN PROPERTY LINE IS ALSO THE . . .
NOW OFFERING 40 ACRE PARCEL OF THE110 ACRES THAT HAS BEEN HAS BEEN CONDITIONALLY APPROVED R-1 ZONING FOR 64 PLATTED LOTS TOTAL OF MOSTLY SANDY LOAM SOIL. GREEN ACRES TAX . . . AFFORDABLE HOUSING! EXCELLENT PIECE OF PROPERTY! HIGH AND DRY! EASY ACCESS TO 35E!! PREVIOUSLY PRELIMINARY PLATTED FOR APPROX. 60+ SINGLE FAMILY &AMP; MULTI FAMILY . . .
QUALITY FARM LAND 1 MILE OFF ASPHALT ROAD. LAND HAS BEEN TILED. CURRENTLY LEASED ON A ONE YEAR LEASE. ONE OWNER SINCE 1960. HOMESTEAD HAS BEEN SOLD OFF SEPARATELY AND IS . . .
PRIME FARM LAND WITH IRRIGATION SYSTEM. THIS PROPERTY HAS 1 BUILDABLE HOME SITE AND POTENTIALLY 1 MORE WITH TOWNSHIP APPROVAL. THE IRRIGATION SYSTEM WAS NEW IN 2010. AN . . .
103.75 ACRES, APROX 94.2 TILLABLE FARM LAND. ORION TOWNSHIP SAYS ONE BUILDING SITE - BEAUTIFUL VIEW! SOIL CONSERVATION IS EVIDENT W/WONDERFUL WATERWAYS, TERRACING, A . . . COURTESY: PROGRESSIVE REAL ESTATE SERVICES, INC. APPROXIMATELY 154 ACRES OF BARE LAND LOCATED 6 MILES WEST OF CHATFIELD. THIS ROW CROP/PASTURE FARM OFFERS APPROXIMATELY 100 ACRES OF TILLABLE, 40 ACRES PASTURE WITH . . .
NEARLY 75 ACRES OF FARMLAND &AMP; OLD EXISTING FARMSTEAD SITE MINUTES FROM SOUTH METRO AREA ON PAVED COUNTY ROADS. ABOUT 47 TILLABLE ACRES THAT HAVE BEEN LEASED OUT. . . .
YOU HAVE TO COME OUT IN ORDER TO UNDERSTAND WHY THIS LAND IS SOOO VALUABLE! BUILD YOUR COUNTRY HOME ON THIS SPECTACULAR ROLLING TERRAIN, WITH UNCOMPROMISING VISTAS, . . .
VERSATILE 70 ACRE OPPORTUNITY TO BE DEVELOPED INTO 3 ACREAGE LOTS &AMP; STILL FARMED, OR EQUESTRIAN FARM, COMM'L VEGETABLE FARM, OR SIMPLY A HOBBY FARM. CONTRACT FOR . . . ABSOLUTELY STUNNING 121+/- ACRES OF ONE OF THE MOST BEAUTIFUL SPOTS IN SHERBURNE COUNTY. ENDLESS OPPORTUNITY WITH THIS LOCATION. BUILD YOUR DREAM HOME, BRING THE ANIMALS . . . THIS PROPERTY IS LOCATED IN THE PRAIRIE OF WESTERN MN IN THE HEART OF RURAL MINNESOTA FARM COUNTRY. THE UNIQUE FEATURES OF THE LAND IS THAT IT IS A WILDLIFE INTENSE AREA . . .
40 ACRES OF FARMLAND &AMP; CORN CROPS! HOME &AMP; OUTBUILDING ON PROPERTY HAS NOT BEEN LIVED IN FOR SEVERAL YEARS, POSSIBLE REHAB OR TEAR DOWN AND BUILD YOUR DREAM HOME. . . .
GORGEOUS PRIVATE 65 ACRE LOT WITH A MACHINE SHOP (30X65), BARN (45X70), AND A BERM HOME IN LAKEVILLE SCHOOL DISTRICT. THIS IS CURRENTLY ZONED FOR RR!. THIS IS A GREAT . . .
BEAUTIFUL ROLLING ACREAGE WITH WATERFRONT FOOTAGE ON HICKEYS LAKE IN SCOTT COUNTY IS IN NEW PRAGUE ISD. GREAT FARM LAND ON NICE DUCK HUNTING LAKE. GREAT POTENTIAL FOR . . . THIS FARM IS LOCATED IN SECTION 34 OF LIME TOWNSHIP JUST OUTSIDE MANKATO CITY LIMITS ON STATE HWY 22. 65.96 ACRES WITH 2 ACCESS ONTO THE HWY. THE FARM IS SYSTEM TILED . . .
PRIME DEVELOPER OR HOME BUILDER OPPORTUNITY HERE IN THE CITY OF OTSEGO. 56.91 ACRES OF OPEN AND ROLLING FARMLAND WITH SOME TREED AREAS. PANORAMIC COUNTRYSIDE VIEWS FOR . . . GENEROUS 69-ACRE HOBBY FARM WITH POND. EXPANSIVE VIEWS AND NUMEROUS OPPORTUNITIES! JUST SOUTH OF HOLDINGFORD BOASTING 4+ BEDROOMS - OPEN FLOOR PLAN - UPPER LEVEL FAMILY . . . WELCOME TO LILLY FARM, 220 ACRE SUBDIVISION FEATURING STUNNING COMBO OF SMALL ACREAGE ESTATE LOTS TO AFFORD VARYING TASTE &AMP; STYLES OF FINELY CRAFTED HOMES. VISIT THE . . .
GREAT OPPORTUNITY! 88 ACRES RIGHT ALONG HWY 94; OVER 1700 FEET OF FRONTAGE. 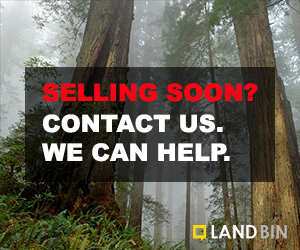 BUSINESS/INDUSTRIAL DEVELOPMENT, FARMING, INVESTMENT, OR HUNTING LAND. THERE IS AN OLD . . .
JUST MINUTES FROM ROCHESTER MN THIS FARM SITS JUST OUTSIDE OF SIMPSON MN. THE FARM HAS 66.5 TILLABLE ACRES &AMP; PLENTY OF TILE IN PLACE ALREADY. THE TILLABLE ACRES . . .
40 ACRE ROLLING HILLS AND WOODED ACRES COMES WITH 4 BUILDING ENTITLEMENTS. PERFECT FOR DREAM HOBBY FARM. ALSO BUILDERS AND DEVELOPERS. 4- 10 ACRE LOTS POSSIBLE FOR . . .
GREAT PARCEL TO ESTABLISH A CROP / HOBBY FARM OR JUST HAVE ONE OR TWO RESIDENTS TO ENJOY THE COUNTRY LANDSCAPE. THIS LAND COULD BE USED FOR FARMING OR GARDEN CROPS WITH . . . RECENTLY APPRAISED FARMLAND IN CHARLESTOWN TOWNSHIP. THIS PROPERTY IS LOCATED 6 MILES EAST OF LAMBERTON ON U.S. HIGHWAY 14. HIGHWAY 14 PROVIDES PAVED ROAD ACCESS FROM . . .
NOW OFFERING 30 ACRE PARCEL OF THE110 ACRES THAT HAS BEEN HAS BEEN CONDITIONALLY APPROVED R-1 ZONING FOR 64 PLATTED LOTS TOTAL OF MOSTLY SANDY LOAM SOIL. GREEN ACRES TAX . . .
BEAUTIFUL ROLLING ACREAGE IN NEW PRAGUE ISD. GREAT FARMLAND WITH DEVELOPMENT POTENTIAL. NEARLY 40 ACRES OF LAND WITH A SMALL STREAM RUNNING THRU IT. LOADED WITH POTENTIAL! UP TO 26 ACRES OF TILLABLE LAND AND 14 ACRES OF WOODED AREA OUTLINING THE STREAM. . . . THIS WONDERFUL PROPERTY OFFERS 17+ ACRES OF GREAT SPACE TO BUILD YOUR DREAM HOME/HOBBY FARM. GREAT LOCATION, CLOSE TO LAKE ELMO &AMP; STILLWATER. OPEN BUILDER! ENJOY . . .
GREAT TILLABLE FARM LAND WITH GOOD DRAINAGE. ONLY $4500 / ACRE! BUILDING SITE IS NOT INCLUDED... 2 POTENTIAL BUILDING ELIGIBILITIES AVAILABLE. GREAT FARM LAND. 3 . . .
200 ACRE FARM WITH APPROX 160 TILLABLE, PASTURE ACREAGE HAS A CREEK FLOWING THROUGH. LARGE 8 BEDROOM HOME, SEVERAL OUT BUILDINGS IN GOOD CONDITION. 40X96 CALF BARN, . . . THIS FARM WAS PUT TOGETHER AS A BEEF OPERATION, BUT WITH THE HEAVIER SOIL AND OVER 153.41 ACRES TILLABLE HAS ALSO BECOME A GOOD CROP FARM. WITH 40000 BUSHEL GRAIN . . .
BEAUTIFUL PIECE OF PROPERTY IN CLOSE PROXIMITY TO LAKEVILLE. BARN AND GARAGE IN PLACE. BUILD YOUR DREAM HOME. OR FARM. CURRENTLY ZONED AG LAND WITH FUTURE ZONING OF . . .
GOOD QUALITY SOILS IN AN AGRICULTURAL NEIGHBORHOOD. WOULD BE A GOOD ADD ON OR FIRST FARM INVESTMENT. 140 ACRE FARM WITH APPROX 63 ACRES TILLABLE, 20 PASTURE, WOODS AND BUILDING SITE. POLE SHEDS(2) ARE IN GOOD CONDITION. IDEAL SPOT FOR BUILDING NEW OR CABIN. WELL AND . . .
275 DEEDED ACRES LOCATED APPROX. 5 MILES SE OF BROOKS, MN. THIS FARM CONSISTS OF APPROX. 245 TILLABLE ACRES SCORING A 75 PRODUCTIVITY RATING. AT THE CURRENT TIME THIS . . .
RARE "OPPORTUNITY" TO OWN THIS 73-ACRE FARM. FULLY "REMODELED" 3BR, 2BA IN 2013. YARD SHADED WITH MAPLE AND OAK TREES. SEVERAL OUT BUILDINGS. 20-ACRES OPEN, 45-ACRES . . . LOCATION, LOCATION. GREAT VISIBILITY AND ACESS TO HWY 24. CURRENTLY ZONED AND USED AS A FARMERS MARKET. GREAT LOCATION FOR COMMERCIAL, INDUSTRIAL, 30' WIDE COMMERCIAL . 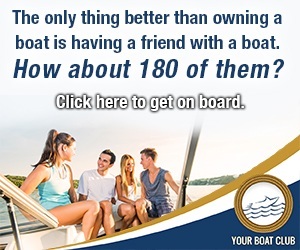 . .
DON'T MISS OUT ON THIS ONE OF A KIND OPPORTUNITY! THIS PROPERTY OFFERS SOME OF THE BEST WHITETAIL HUNTING ANYWHERE IN THE STATE AND WILL ONLY GET BETTER. THE CRP . . . VERY PRIVATE SETTING WITH THIS 93.5 ACRE FARM LOCATED JUST NORTH OF HIGHLAND. 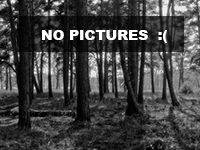 APPROXIMATELY 22 ACRES OF WOODS ADJOINING STATE LAND, 39 TILLABLE ACRES RENTED ($175/AC), . . . COURTESY: ELCOR REALTY OF ROCHESTER, INC. REASONABLY PRICED * 112 ACRES * 2 PARCELS OF MN FARM LAND * SOLD AS ONE UNIT * 96 TILLABLE AC. * 80 AC. CER. 62 AND 31 AC. CER. 42 * LAND IS DIRECTLY SOUTH OF WASTE . . . REASONABLY PRICED * 112 ACRES * 2 PARCELS OF MN FARM LAND * SOLD AS ONE UNIT * 96 TILLABLE ACRES * 16 ACRES OF CRP (EXPIRES THIS YEAR) * 80 ACRES CER. 62 AND 31 ACRES . . .
FROM THE WATERFALL TO THE WALLEYE FISHING TO THE HAY FIELDS AND PREPARED HUNTING FEATURES, THIS PROPERTY HAS IT ALL! 280 ACRES OF RARE PRIME FARMLAND BETWEEN TOWER AND . . . LOOKING FOR MORE FARMLAND BEFORE SPRING? HOW ABOUT A POSSIBLE DEVELOPMENT JUST MINUTES FROM ST. CLOUD AND JUST 1/4 MILE OFF OF HWY 23? CHECK OUT THIS INVESTMENT . . .
Minnesota, also known as the Land of 10,000 Lakes, is in the geographic center of the continent of North America. In spite of its nickname, Minnesota is actually home to over 11,000 lakes; 11,842 to be exact. Depending on your physical location in the state, the climate can vary rather dramatically; however, overall it is fairly moderate. Given the relatively low humidity that is common here, temperature extremes are not as uncomfortable as they might be in areas with rainier climates. Summer temperatures average in the range of seventy degrees. Autumns are cool and dry and spring is a relatively short season. Winters are cold, but that is typical for this region of the country. In the northern part of the state, the average growing season is 100 days. The southern part of the state has a growing season averaging 150 days. These averages generally correspond with the average number of frost free days in each region of the state. While Minnesota is known for its beautiful lakes and amazing forests, its moderate climate and weather also make it an ideal location for farmers to establish their enterprises. The soil of Minnesota is incredibly rich, perfect for cultivating crops or supporting rich pasture land. From crop farming to the raising of livestock, Minnesota is a leading producer of farm products in the United States. While it is true that Minnesota has millions of forested acres, the terrain is actually comprised of three commonly accepted ecological regions of North America: The Eastern Broadleaf Forest, the Laurentian Mixed Forest and Prairie Parkland. Surprisingly, out of Minnesota's 54 million acres of land, nearly 27 million acres are comprised of farmland. In total, Minnesota is home to an impressive total of 81,000 farms. Minnesota's climate plays a large part in its farming success; however, other factors have helped contribute to its prominence. For example, the beginning of the might Mississippi River lies in Minnesota, providing a readily accessible gateway to transport farm goods to the southern United States. Crop farming is prevalent on lands which have been cleared of forest and also on the prairies of Minnesota. Corn and soybeans are among the most important crops produced in the state. In fact, in past years, Minnesota has ranked third and fourth in the nation for soybean and corn production, respectively. With the high level of corn production, ethanol is also an important product of Minnesota. In addition to corn and soybeans, Minnesota farmers produce oats, sweet corn, green peas, spring wheat, sugar beets, canola and dried beans. Minnesota is also home to extensive wild rice farms, which harkens back to the time of the Native Americans when people harvested wild rice growing near Minnesota lakes. Minnesota farming is essential to the economy of the state as a whole. Many individuals depend upon the farming industry for their livelihoods. The agriculture and food industry is the second largest employer in Minnesota; many of these jobs are in processing and distribution centers. Crops are not the only important product to come out of Minnesota. A leading producer of turkeys, hogs and mink pelts, Minnesota is similar to its neighbor, Wisconsin, in its numerous dairy farms. Less common species of livestock in Minnesota include bison, elk and ostriches. Like crops, some meat and dairy producers here focus on organically certified products. In recent times, organic farming has become an important source of revenue and business in the state of Minnesota. In fact, aaccording to data from the Minnesota Department of Agriculture, the demand for organic food products has increased exponentially since the turn of the century. With increased demand, farmers have stepped up their organic productions. It is estimated that there were 650 organically certified farms in Minnesota as of 2010. Local, sustainable, specialty foods have also become a very important and profitable niche in the farming market. Farms in Minnesota come in a variety of sizes. From large scale industrial farming to small, hobby farms focused on niche markets, Minnesota offers an array of options for individuals or businesses looking to enter into the farming market. If you are looking for a farm, it is essential to enlist the services of a trusted real estate expert in your search. Such an individual can help you tailor your search for the perfect piece of farming land to best suit your needs and desires. First, you must consider what type of farming you intend to engage in. Do you need a small, fertile piece of land for an organic hobby farm? What size of property do you require? The amount of acreage is an important baseline question for any search for farm land. Are you interested in a vineyard or a small organic dairy focused on cheese production? Are you interested in large scale farming operations for a large business or corporation? Next, you will need to think about whether you intend to build any structures on the property, such as a residential home, a livestock barn or a dairy barn. If so, what needs does this create? Consider whether there are there particular resources you need to nourish the livestock or crop you intend to raise. If you are purchasing a piece of land where a farming enterprise already exists, take a look at the existing pieces of farming equipment there to consider whether you want to include these items in your purchase. Determining a fair market value for such items can be tricky and you may need to enlist the help of an appraiser when structuring your offer. Farm land can be a worthwhile investment on many levels. Farming is a certainly a challenging occupation; however, the successful completion of a growing season carries tremendous personal satisfaction with it. Depending on the type of farming you engage in, it can also be a lucrative endeavor. Farmland itself can be a valuable commodity due to the high levels of corn and soybean production in Minnesota. As the use of ethanol increases, farmable land in Minnesota appreciates, making farmland a good financial investment. The assistance of the right realtor will be of key importance in your decision to invest in Minnesota farmland. Make sure you select a realtor who is very familiar with the local economy and market. A realtor with a specialization in agricultural properties may be very advantageous. Don't be shy about asking for references from previous customers. The candid comments of past clients can be very telling as you select the representative you want to work with. Online reviews may also be of assistance, although sometimes these are less trustworthy than direct conversations with previous clients. Most importantly, choose a real estate professional you can communicate with openly and honestly to get the most benefit from this relationship. There are few more rewarding endeavors than successfully working the soil to create produce or other food products. Yes, the challenges are great, but no great reward comes without substantial risks. Talk with an expert about your potential future in Minnesota farming today!